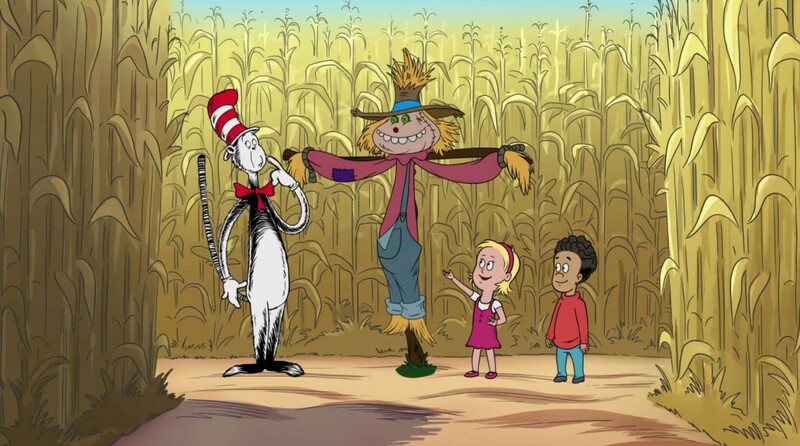 (April 21, 2016 – Toronto, Canada) – International distributor Portfolio Entertainment is announcing the first international sales for its three new The Cat in the Hat Knows A Lot About That! movies. Now in the final stages of production, the movies have been acquired by: Discovery Kids (Latin America), KiKa (Germany), HOP (Israel), SVT Barnkanalen (Sweden) and Minimini+ (Poland). All five of these networks currently air the series as well. The movies were commissioned by PBS in the U.S. and will also air on Treehouse in Canada. The one-hour movies focus on camping, space and Halloween, and feature screen icon Martin Short reprising his role as the Cat. The Cat in the Hat Knows A Lot About Camping! – The Little Cats join The Cat in the Hat, Fish, Nick and Sally on a fun and frenzied outdoor adventure as they camp, hike and paddle their way to Fish’s family reunion. The Cat in the Hat Knows A Lot About Halloween! – The Cat in the Hat takes Nick and Sally on the craziest fright-filled Halloween adventure that takes them deep into the Oooky-ma-kooky Closet where Nick and Sally discover the very best Halloween costumes ever. The Cat in the Hat Knows A Lot About Space! 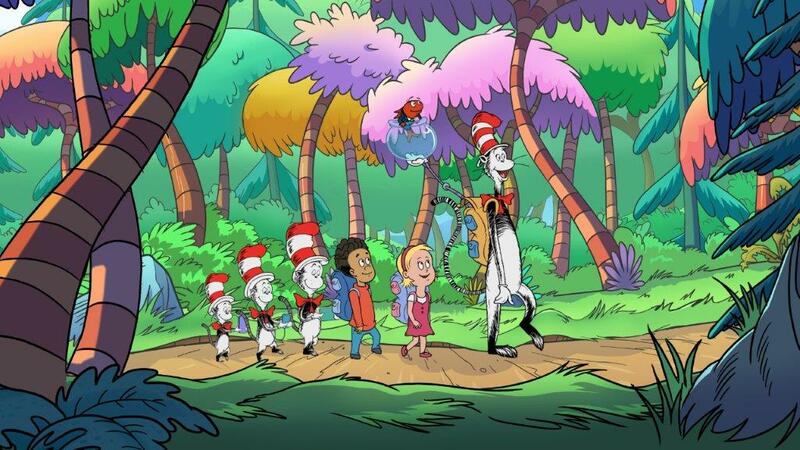 –The Cat in the Hat takes viewers on a cosmic adventure through the solar system to assist with Operation Rover Repair. Portfolio Entertainment is a leading producer and distributor of premium television and multi-platform content. Now celebrating 25 years in business, founders Joy Rosen and Lisa Olfman have earned a global reputation for creative excellence and collaboration. Portfolio’s distribution division sets ambitious standards for itself, representing a diverse catalogue of high quality children’s live action, animation, factual and lifestyle content. The programs, produced in house and acquired from independent producers worldwide, have landed on many of the world’s most recognized television networks and digital platforms. Portfolio’s strategic partnerships, range from joint ventures, development and co-production agreements, to first-look distribution deals. Above all, the company is committed to exceptional service and building enduring relationships with program buyers worldwide. In 2015, Portfolio launched Portfolio Animation, a creative-driven, state of the art animation studio staffed with top-tier talent as well as a factual/lifestyle production division. Martin Short wins Canadian Screen Award for Portfolio Entertainment’s The Cat in the Hat Knows A Lot About Camping!